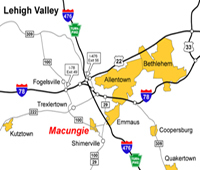 We are local Lehigh Valley PA Locksmith company serving Pennsburg PA: 18073, and surrounding area. We have been serving residents of Pennsburg, many years, providing mobile locksmith services, on a daily basis. Our locksmiths specialists can help you in all occasion of locksmith requirement. Either you need to open a vehicle door, or to replace lock on your doors, we can help, soon after you call us. For your convenience, we’re available 24 hours for emergency locksmith services. If you prefer to schedule appointment for coming up locksmith project, you can also contact us via email. In order to provide you with a fast emergency service, please call us. Considering an emergency locksmith service, fast response is our first priority. so we offer 20 minutes response time. In addition to fast response, we also arrive with a fully equipped mobile locksmith shop. When you lock yourself out of your car or need a broken key removal service, it’s not a pleasant moment, especially when you wait out in a cold weather. 24/7 Locksmith in Pennsburg wants to be the source for all of your lock and key needs. Our locksmiths can come and furnish the security you need to your property. Even though, it doesn’t matter if you’re a business owner or home owner, you can count on our locksmith experts. We provide automotive, commercial, and residential locksmith services in Pennsburg and throughout the Lehigh Valley PA. With this in mind, when you need a locksmith in Pennsburg, our professional locksmiths can get you back on your day, in a short time. Our locksmiths are trained in a different kind of locks and and keys issues. There are thousand types of locks, keys, and security applications. A professionals locksmith of LockTech24/7 can handle them all. Don’t stay behind, you may feel confident calling us because you also deserve fast, reliable and affordable locksmith services. When you call the best locksmith in Pennsburg, you get the best service that you wish. With us, there are no surprises, nor hidden fees.